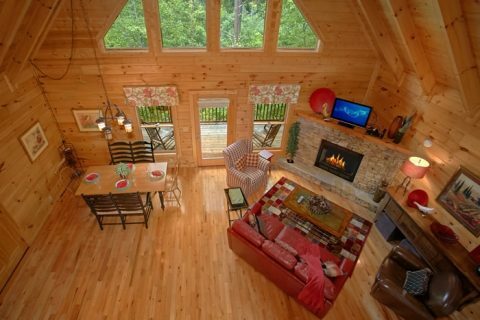 Take that special someone on a memorable Smoky Mountain vacation to "Mountain Star," your Brookstone Village cabin retreat! 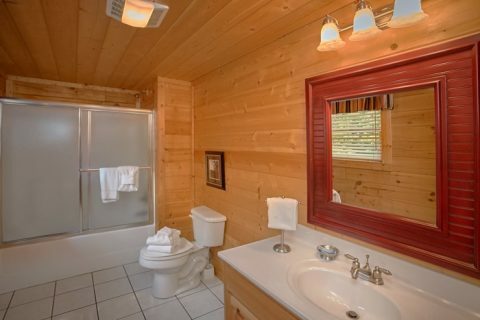 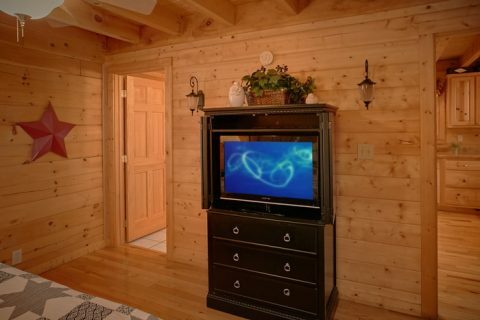 Your Pigeon Forge cabin offers a great location close to all the top attractions as well as a cabin interior built with couples in mind. 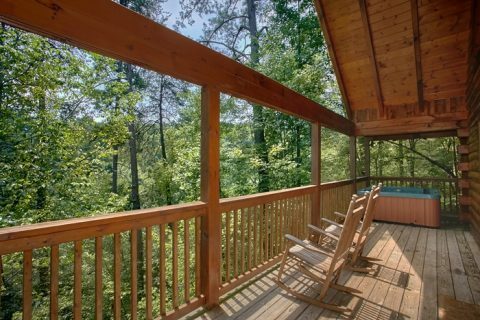 Enjoy the perfect launching pad for a romantic and relaxing vacation, honeymoon, or weekend getaway in the Tennessee Smoky Mountains! 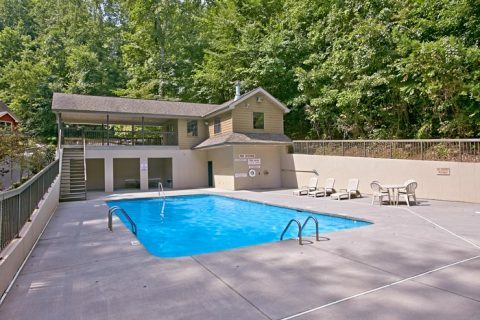 Step into your honeymoon cabin with pool access in Pigeon Forge where you'll find everything you need to unwind and enjoy your stay. 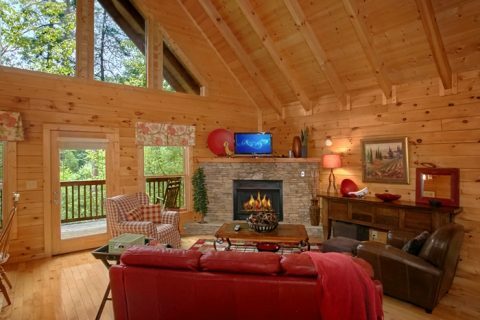 Snuggle up together on the sofa in front of the seasonal gas fireplace for a laid-back night together spent watching your favorite movie with two cups of hot cocoa. 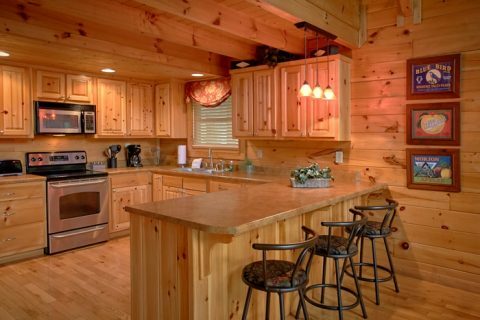 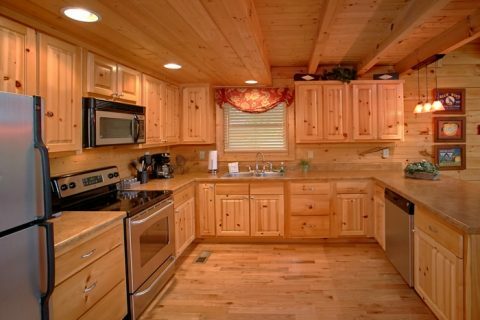 The kitchen with breakfast bar invites you to enjoy a romantic dinner for just two around the dining table in your cabin retreat. 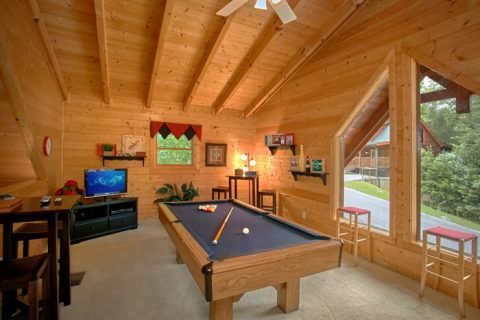 The game room's pool table offers a chance for you and your sweetie to enjoy some friendly competition. 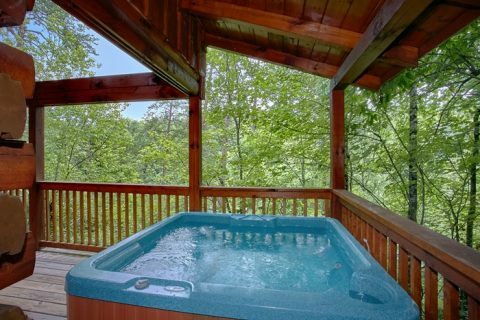 Outside, your cabin's deck can help your cares melt way in the warm waters of the hot tub. 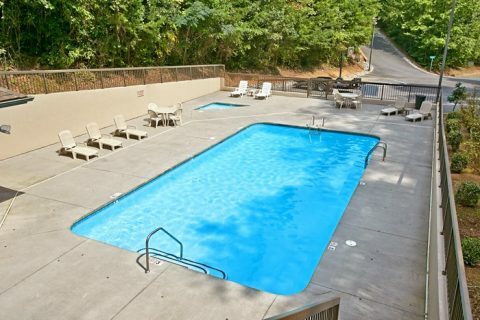 In the summer, guests can enjoy taking a dip in the seasonal resort swimming pool. 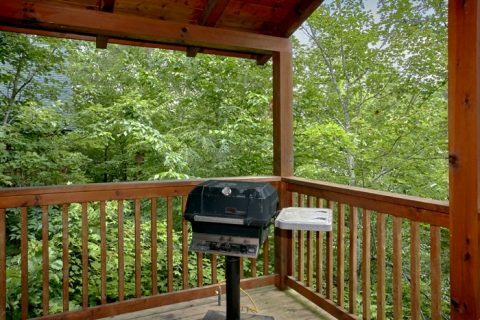 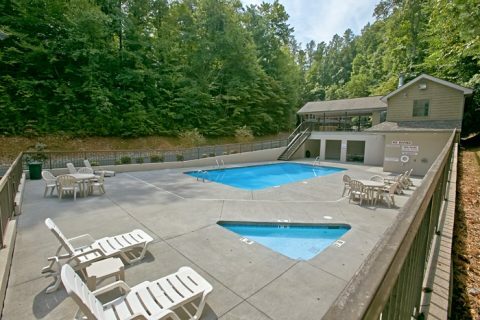 As a Brookstone Village Resort rental, guests of this cabin will enjoy quick access to dozens of great attractions, restaurants, and shops that line the Pigeon Forge Parkway. 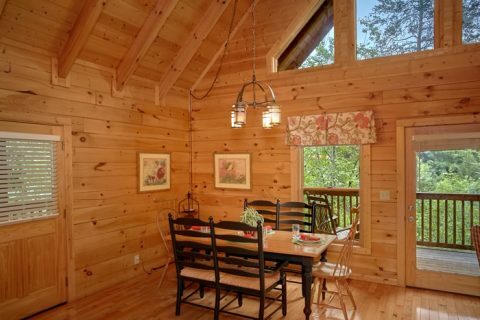 When you get back from another exciting day of adventure in the Smokies, you can enjoy a restful night's sleep in your cabin's spacious bedroom. 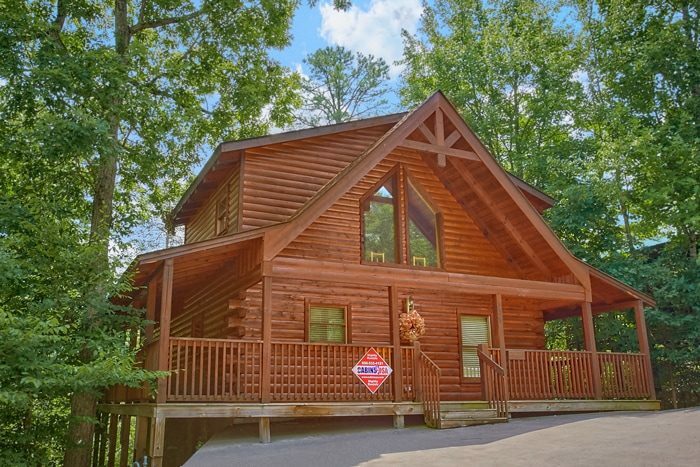 Book your Brookstone Village Resort cabin with Cabins USA today and start planning a Smoky Mountain honeymoon, anniversary trip, or romantic getaway that the two of you won't soon forget!